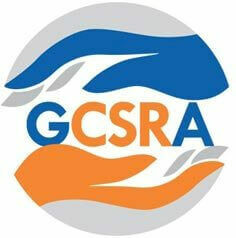 Description: GCSRA invited for Project Officer posts on contract bases. Gujarat CSR Authority - GCSRA published an official notification for Recruitment of Project Officer posts. Eligible candidates can apply for this recruitment. You can view more details about this recruitment including No. of posts, name of post, Educational qualification, Age limit, Selection process, How to apply etc... You can also view official notification and other important facts about this recruitment e.g. Important links and Important dates. Initial screening of the applications will be done through a recruitment screening software or through a screening test and three time the number of posts advertised or minimum of 5 will be short listed for further scrutiny per post. The second stage of scrutiny will consist of review of few specific assignments which are meant to assess the skill set of the candidate, group discussions and problem solving ability. Final stage will consist of personal interview where the selection Committee will consist of at least one external expert. Scores obtained by individual candidates during initial screening stage will not be carried forward. The second stage will have 80 % weightage in the final ranking. The references submitted by the candidates, in cases where prior experience is needed, will also be checked and efforts will be made to seek the opinion of last two employers, before a final decision is taken. The whole process is likely to be completed in 3-4 months’ time.